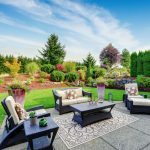 Are you ready to make backyard entertaining something to remember in 2018? Backyards aren’t just for gardens and greenery. In fact, more people are transforming their backyards into an extension of their home’s interior. A well-planned design creates the ultimate backyard for entertaining family and friends. 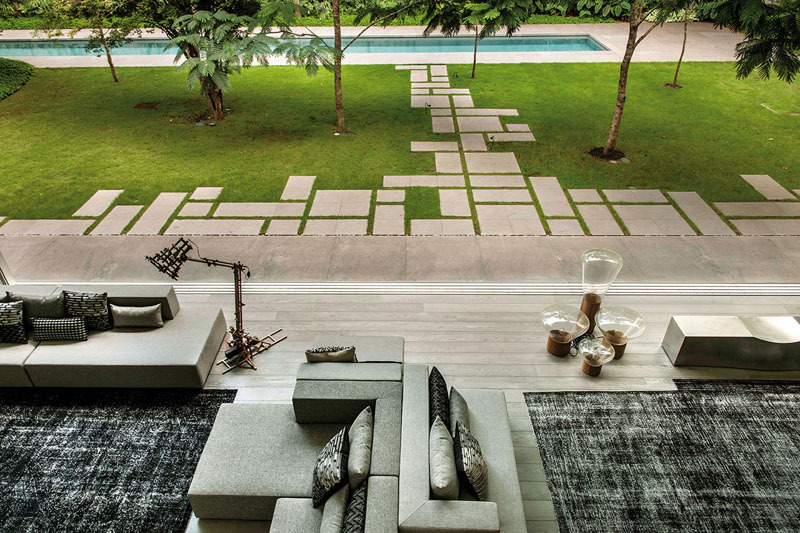 An outdoor living space provides the ideal sanctuary to unwind and relax after a hectic week. 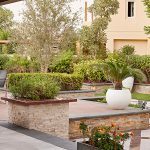 The expert landscape designers of Dubai have created a list of the top innovative landscape design trends for creating the ultimate backyard for entertaining. 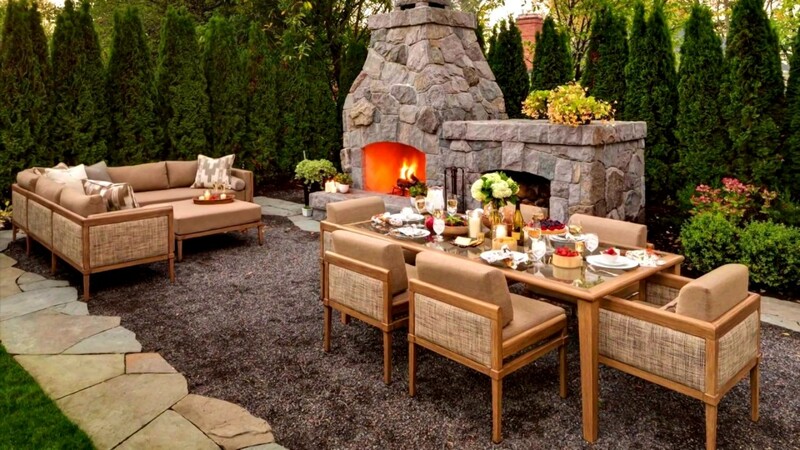 When it comes to outdoor entertaining, it’s all about creating a sense of space. Adding a custom built pergola or gazebo to your backyard is a fun and functional way to spice up your backyard for entertaining. 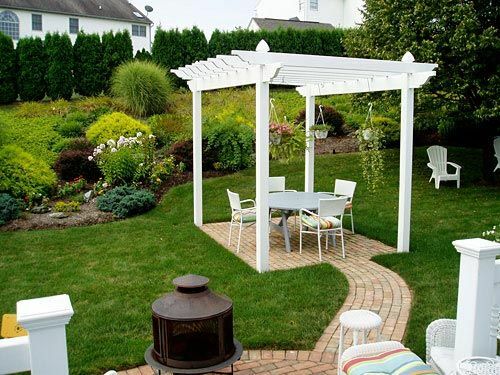 A vine covered pergola provides relief from sun and heat, while creating a seperate space within your backyard. Pergolas and gazebos also create the feeling of cosy tranquility while adding a decorative accent to your outdoor space. The comforts of your home should not disappear when you step into your backyard. Get creative! Rather than a simple slab of concrete or patch of grass, why not think aesthetically outside of the box? Consider adding a natural stone floor or colourful cobblestone pathway throughout your backyard? If you prefer concrete, consider adding a textured or colourful variety to boost visual appeal. Regardless of what materials you use for your hardscapes, remember to incorporate your style to create a personalised backyard retreat. After all, when you feel comfortable your guests will too! Elevate your hardscapes with beautiful landscape details, such as gardens, flower beds, and living walls. When it comes time to select your plant life, don’t be afraid to choose interesting varieties. Add colour and textures, and consider all the different height levels in your outdoor space. You can plant directly at ground level, use potted plants for mid level, and add height with climbing vines and hanging plants. Depending on your prefered style, you can include anything from Japanese garden plants to tropical-style gardens. Colourful flowers and lush greenery add the culminating touches to your outdoor entertaining area. A living wall adds a stunning visual accent to your backyard retreat which also serves as a great conversation piece when entertaining outdoors. 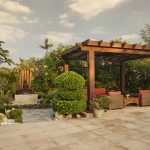 An outdoor kitchen is where design mingles with the’ foodie’ in us all to create ultimate functional landscape accent for backyard entertaining. An outdoor kitchen is particularly important if you want to take full advantage of the good weather to create the ultimate backyard dining experience. When it comes time to design your outdoor kitchen you can keep it simple with a built-in grill or take it to the next level with a full kitchen. From stylish countertops and top-of-the-line sinks to beautiful cabinets, outdoor refrigerators, and full outdoor bars – the possibilities are only as limited as your imagination. Not that you’ve envisioned your outdoor kitchen – where will you enjoy your wonderful meal? A dedicated backyard dining area is sure to complete your culinary nirvana. There’s nothing quite like outdoor dining. To enjoy pleasant conversation and enjoy mouthwatering dishes underneath the sun and the stars is to experience a little slice of bliss. Even if you dedicate only a small section of your backyard – it will be worth the effort. You can use garden walls, lattices, or even pergolas and gazebos to separate your dining area from the rest of the yard. This dedicated space will create a cosy sense of privacy to enjoy your outdoor meals day and night. The elements of water and fire instantly create a soothing and relaxing environment. Whether you decide to add a pool to your backyard or opt for stand-alone water features (such as waterfalls and water walls), these landscape features inject tranquillity and relaxation into your outdoor space. Ponds, fountains, and other types of custom water features are easy to maintain and provide a boost to your landscape design. You can even get creative by adding stones and rocks to create contrast and texture. Whether you have a specific backyard design in mind or you need a little inspiration, we can help! 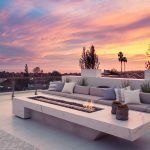 When it comes time to create the ultimate backyard for entertaining, the design experts at Milestone have the creative vision and skills necessary to turn your dream into a reality.